Plasencia – An ancient walled city in the Extremadura region of Spain, Plasencia has an interesting history as a garrison town, being for centuries in a significant position on the much disputed Silver Route, on the River Jerte. The city walls which comprise a double line, with sixty eight towers and 6 gateways was begun in the late 12th century. Plasencia strangely enough, has 2 cathedrals, the first took so long to build, that it was out of date by the time it was completed, so a new, more modern one was constructed though this also took some 200 years to build. One of the gems of the Extremadura region, Plasencia is a must visit place if you are passing by the area. 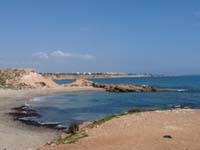 La Mata Costa Blanca – A small town and coastal resort located between Torrevieja and Guardamar del Segura, La Mata has become increasingly popular in recent years, as a holiday destination. Long popular with the Spanish themselves, La Mata has now been discovered by International tourists, and has also attracted those seeking to buy holiday homes in the sun. Backed by a large salt lake and natural park (The Parque Natural de La Mata y Torrevieja), La Mata has some fine sandy beaches and an attractive coastline, in the town are a good range of shops, together with cafes, bars and restaurants. La Mata enjoys sunny weather conditions most of the year making it a truly all year round resort, it is easily reached from the N-332 and is just a couple of miles from the town of Torrevieja. Ciudad Quesada Spain – A unique and interesting place located inland of Torrevieja, on the Costa Blanca, Spain is the new city of Ciudad Quesada, built since the 1970’s and the product of a dream by a man named Justo Quesada Samper. As a child this extraordinary man dreamt of a city where people could live together in peace and harmony and enjoy life to the full, with everything to hand and available. As the city started to grow it developed around the holiday home plan and many International citizens began buying properties in the city making it a truly Cosmopolitan area. Now the city of Quesada (as it is more commonly known) is fully complete and has its own Town Hall, medical centre, shops, bars, restaurants, social club, eighteen hole golf course and aqua water park, plus much more. Mostly built upon a hillside, Ciudad Quesada offers some spectacular views over Rojales, the nearby salt lakes and on to the azure blue Mediterranean Sea. Quesada benefits from sunny weather all year round, so has became a popular holiday resort, with hundreds of detached villas with pools available for rent. You can reach Ciudad Quesada using the CV-905 from Torrevieja or the handy AP-7 motorway which connects the city with both Murcia and Alicante airports. Palma Nova Beaches Majorca – One of Majorca’s most popular seaside resorts Palma Nova is located not too far from the capital Palma de Mallorca. Attracting thousands of visitors each year this fine resort is well known for its lovely weather conditions, its sandy beaches and its good amenities. Palma Nova has three beaches in all, with the main beach being situated close to the harbour and close to the main residential area of the resort, this beach is about half a mile long and has fine white sand. The beach is backed by the seafront promenade which is lined with bars and restaurants. On the beaches you will find the usual amenities with parasols and sun loungers available for rent, with pedaloes and water sports also on offer. Just eighteen miles from Majorca airport, Palma Nova is easy to reach and in a great location. Campoverde Spain – An attractive little village located inland of Pilar de la Horadada on the Costa Blanca, El Pinar de Campoverde (normally just referred to as “Campoverde”) has mostly developed due to the demand for holiday homes in the sun. 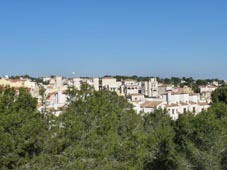 Campoverde is especially renowned for its detached villas many of which stand on good sized plots and despite their inland position, still have sea views due to their being build on a hillside. This sizeable development of villas attracted the building of a new golf course for the area, and this has now taken shape in the form of the Lo Romero golf course, fast becoming one of the most popular courses in the area. Due to its inland position the villas of Campoverde were generally a little more affordable than similar properties built on the coast, this and its situation close to golf have added to its attractiveness. While inland, Campoverde is still within easy reach of the beaches of the Costa Blanca and Costa Calida, with also plenty of other golf courses nearby. Orihuela Costa Resorts Cabo Roig and Playa Flamenca – There are many of you who probably never have heard of the Orihuela Costa, while there are other who take their holidays there every year. For those of you who don’t know where it is, I will explain. In the southern area of the Costa Blanca region, within the province of Alicante, the Orihuela Costa is a section of coast which belongs to the inland town of Orihuela (as is the habit in Spain of providing inland towns with a section of coast that they administer). Now this developed later than other better known areas of the Costa Blanca, such as Benidorm, which started much earlier, in fact the Orihuela Costa has mostly developed over the last 20 years or so, Playa Flamenca was begun in the early 1970’s by Dutch property developers, and is a recent resort with little history. On the reverse of this, Cabo Roig has some history, and its ancient watchtower displays evidence of this in the most powerful way, as it has existed for many centuries, in fact way back when pirates sailed these seas. Both resorts have become popular as holiday home locations and many Brits and Irish have settled permanently there (together with Germans and Scandinavians among others). I will be writing more about these resorts shortly. Elche Huerto del Cura: One of my favourite places to visit in the Costa Blanca city of Elche, is the Hurto del Cura or Priest’s Garden, this hidden gem is especially attractive on a hot summers day as the hundreds of palm trees there provide some welcome shade from the scorching sun. Surrounded by busy city streets, this is a strangely tranquil place, the stone walls encircling it, blocking out much of the city noise. Inside you will find hundreds of species of palm trees of varying sizes, culminating in the huge eight armed Imperial Palm, the pride of the garden, which is some 170 years old and is supported by metal straps which prevent it from collapsing under its huge eight tons of weight. Pretty little lily padded ponds trickle with water and an amazing cactus garden with some immense specimens adds to the pleasure. Pop into the little shop an you can purchase your own date palm to take home, maybe one day you will get some dates of your own, in the mean time purchase some dates which have been cultivated on-site, delicious. From the Huerto del Cura you can easily walk to many of the other attractions of Elche, so it is a great place to break up a days visit, cool down and chill out for a while, before continuing your visit. This fine garden of course celebrates the history of the palm tree in Elche, and surrounding the city you will certainly not miss the huge palm forest which dates back to the times of the ancient Phoenicians who settled here over two thousand years ago. San Fulgencio Costa Blanca – One of the traditional village of the Vega Baja district of the Costa Blanca, San Fulgencio began life during the early 18th century when it was built on reclaimed land, taken from the marshes of the River Segura. 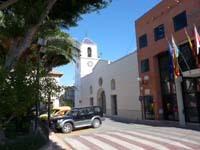 The village centre still has the look of the typical Spanish village of the region, with a tree shaded village square bounded by its town hall and parochial church. The village square is the centre of life in the village, and the village elders gather there to chat about what’s going on in the village and the world in general.